We’ve all been there. You walk into a beer garden, and there’s a handful of tables with broken seats, an unkept lawn and some tarpaulin crudely covering an old battered BBQ in the corner. 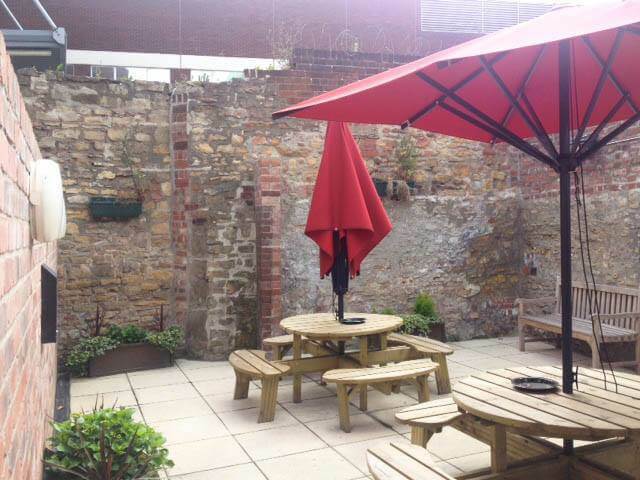 Thanks to our lovely British weather, it doesn’t take much for a beer garden to suddenly look worn and out of shape. But that doesn’t need to be the case. We understand that overseeing a pub is very demanding. That’s why we have written a quick and easy article about looking after a beer garden. It’s full of tricks and tips that will hopefully make your life a little easier, and help your beer garden look amazing! This is the most obvious place to start. It’s like making a bed in a bedroom, it instantly looks tidier. From mid-October to early March, you probably won’t need to even consider cutting the grass. However from spring, you’ll probably have to cut the grass fairly regularly. The first cut of the year, usually made in mid-March, should be pretty rough, you don’t want to take the grass too short, too early. As Spring turns into Summer and you’re cutting the grass every 10 days or so, you can cut the grass shorter for a smarter finish. Remember to move any garden furniture, such as tables and benches, so that you can get to grass easily and produce an even finish. 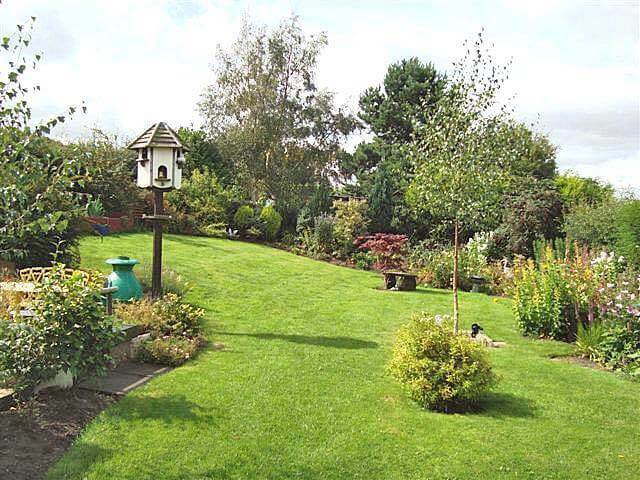 Top Tip: Once you’ve cut the lawn you can neatly trim any grass borders or edges with shears. This really highlights the grass edges and takes your garden to the next level. It’s like polishing a car after giving it a wash! 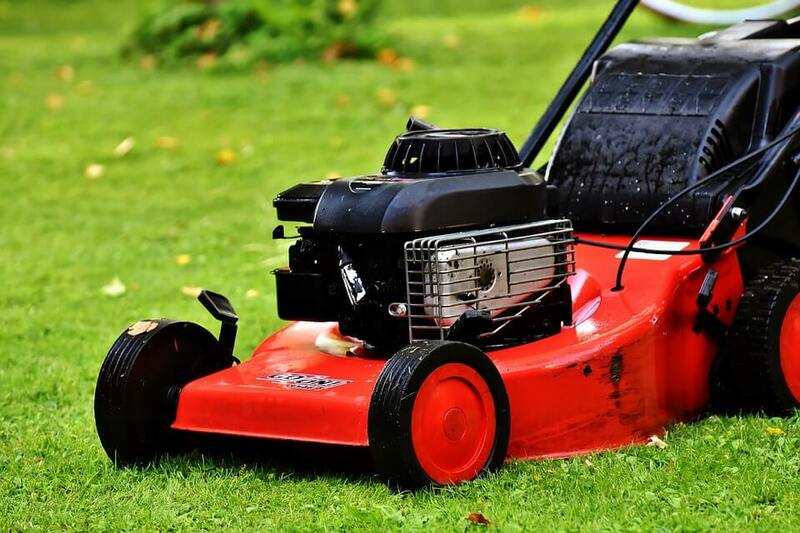 Lawn mowers aren’t that expensive for what they are, a decent model will cost you between £100 and £200 and are more than worth their asking price. They will last several years if you look after them. 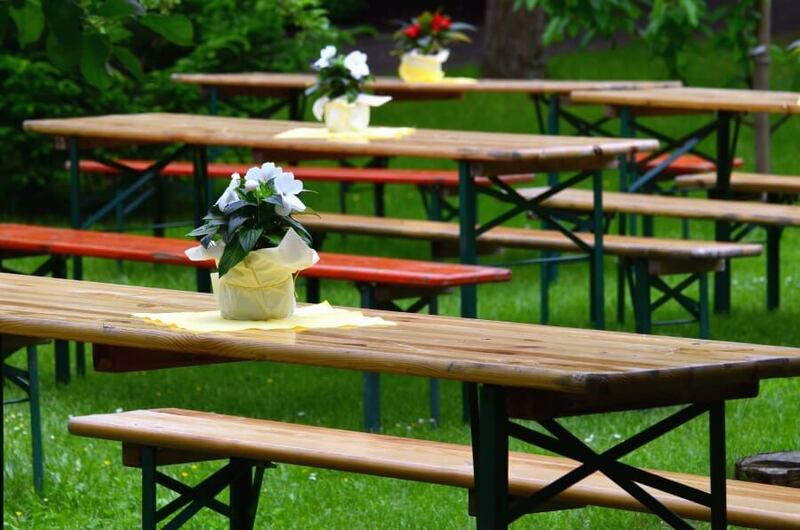 Top Tip: Make sure that you regularly move any garden furniture around the beer garden. This ensures that the growth of the grass is steady across the whole lawn and the grass gets its fair share of sunshine. By treating outdoor furniture properly, with the right varnish and protection, you can make wooden tables, chairs and benches last for a very long time. If you’re unsure about how to do this, then the internet has a lot of information about how to treat and look after wood. These website will even recommend some products and usually show you a method or instruction. YouTube can also be a good way of learning new skills, but be careful, you need to make sure that the advice is from a sound and trusted source. Better still, ask one of your regulars around the bar for advice. Chances are that at least someone who uses your pub will be a joiner, builder or handyman by trade. Ask for their advice. They might even offer to help, or even do the job on an arrangement. You never know and shouldn’t be afraid to ask, after all it’s their local too, just try not to come across as cheeky when asking and you should be golden, (And your benches a nice shade of varnished brown!). Top Tip: If you do decide to build a compost heap, you might also want to build an area where you can hide the bins! Yes, this is a grim task, but it needs to be done. 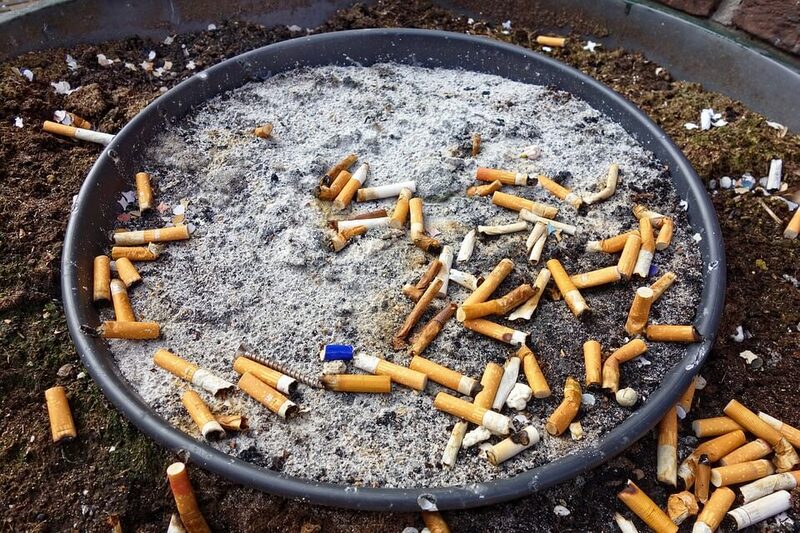 The smell of half rotting cigarette filters and stubs is not nice, but by regularly clearing them out and disposing of them you help keep any smoking area clean. Make sure that you sweep any smoking area or patio. As you know, stubs can get everywhere! Although most smokers try their best to flick a cig into the bucket of sand, their aim isn’t always the best. Once emptied, give the cigarette bins a quick wash with some warm soapy water and a sponge. This will get rid of any ash and dirt that could stain or damage the metal and also look unpleasant. Top Tip: Wear some rubber gloves and keep a dedicated bucket and sponge for this job. Don’t risk cross-contamination. Nobody likes the thought of a sponge that has cleaned a cigarette bin also being used to clean a table, bar or surface. Ok, so we know that a Power Washer can be an expensive bit of kit, although you can sometimes get refurbished ones at a decent price, we’re not telling you that you must have one. Again, you could ask around your regulars and see if someone has one that you could either borrow, or they could show you and do the work for a small price. In the long run, it’s probably more worthwhile considering how infrequent the need to power wash a surface is. Most people will power wash their own driveway or garden area once or twice a year. Cleaning patio and concreate areas doesn’t just help get rid of slip and trip issues, such as grime and moss, it also greatly improves the look of a pubs outdoor space. Just regular sweeping of leaves, debris and cigarettes can really help. Top Tip: Wear Wellies and a pair of trousers or shorts that you don’t mind getting a bit wet and grubby! Planting a selection of plants can be a great way of improving a beer garden. Now don’t worry, we don’t want to give you more work. Not all flower beds require loads of attention and care, you can cheat a little bit and have flower beds that are easier to maintain than others. You just need to do some research and visit your local gardening center. Digging a flower bed is relatively easy, but does require some time. When you have decided where you want the flower bed, dig that area and flip the turf, so that the soil is facing the sky and the grass is down. Cover this soil with some tarpaulin or old carpet, weighed down with some rocks to kill the vegetation, and dig over again after a few weeks. Repeat this process and you’ll have a lovely flower bed ready for planting. On the other hand, if this sounds like too much effort don’t worry, you can always use plants in plant pots to add colour and life to a beer garden. Just remember to water them regularly if there’s a dry spell. 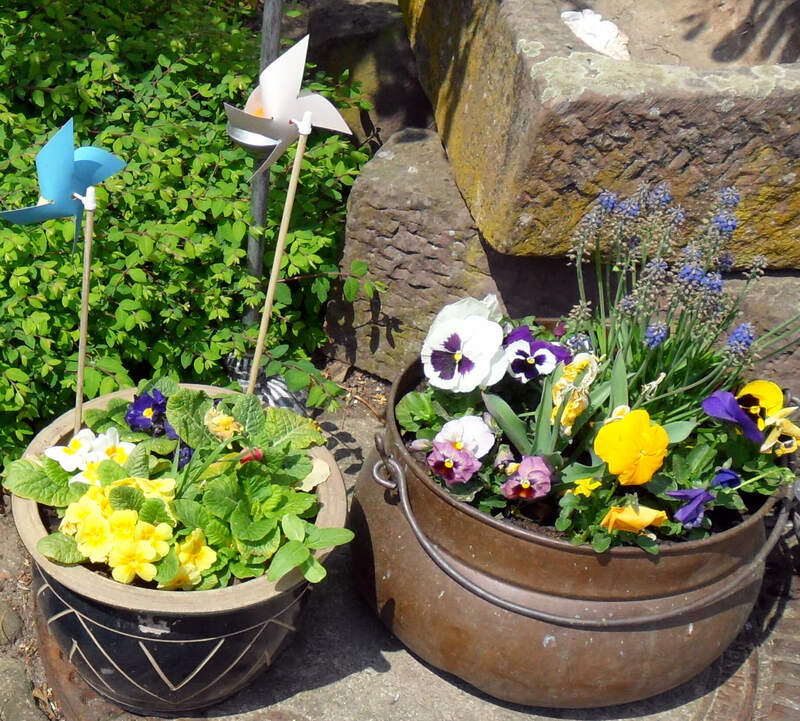 Dead plants in pots can look just as untidy as an uncut lawn! 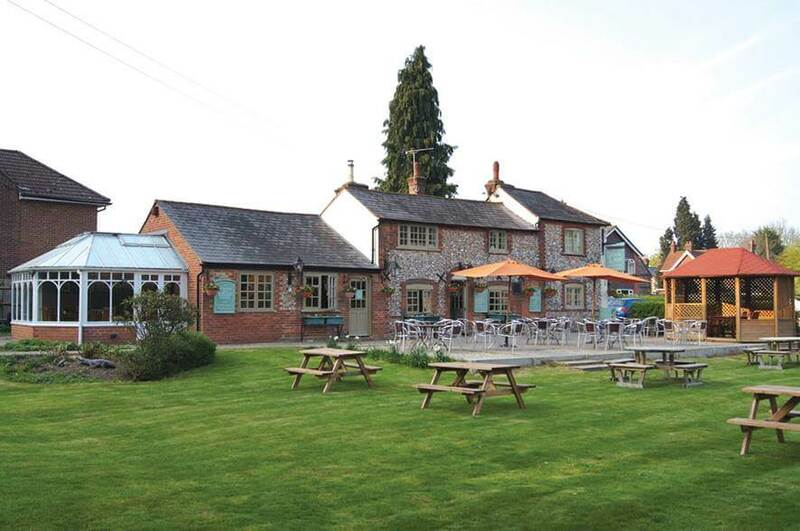 Top Tip: By planting trees you can provide a natural windbreak and shelter to drinkers and diners whilst also keeping a beer garden looking attractive and highlighting boundaries. Thank you for reading this blog post on Trust Inn’s Website, to read other helpful articles about Trust Inns, the Pub Industry and beer or wine please click here.